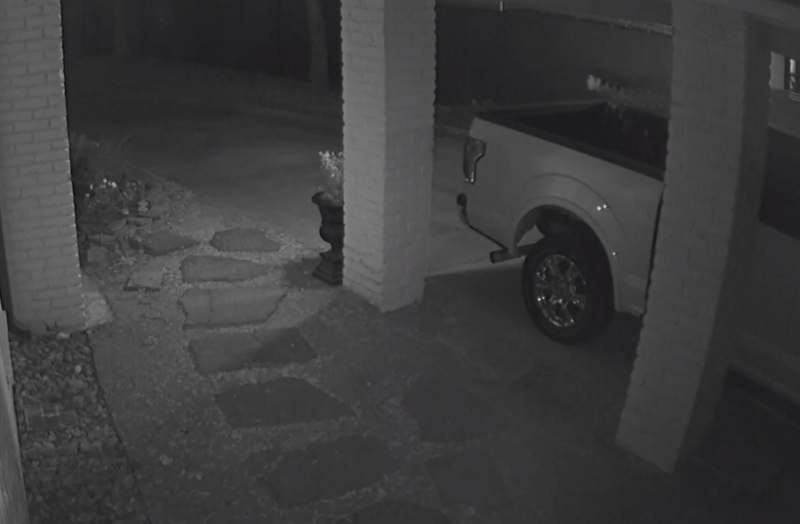 Precinct 5 Constable Ted Heap is asking for your help identifying a car burglar caught on camera in the Nottingham Forest neighborhood of west Houston. Two residents of the neighborhood reported burglaries on the morning of Wednesday, March 13. The first was in the 400 block of Clear Spring Drive. The second was in the 14500 block of River Forest Drive. One of the homes captured an image of the burglar walking up the driveway where the victim's vehicle was parked. The suspect appears to be a tall and slim white or Hispanic male in his late teens or early twenties. He appears to have dark hair and is wearing dark clothing with white sneakers. A second suspect appears to be a lookout, staying at the end of the driveway while the burglary is taking place.